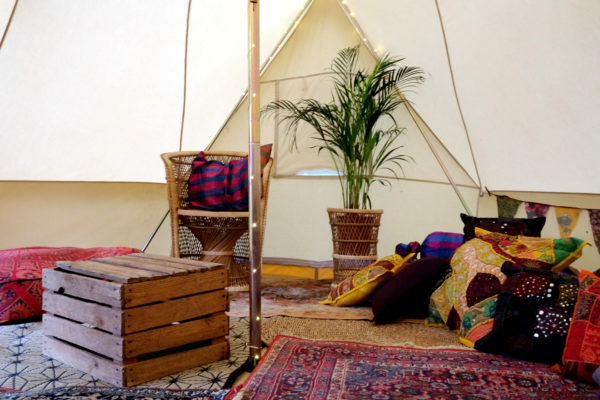 All prices and bookings are based on a minimum two night hire. All prices include delivery (within 50 miles of our base), pitch and take down. 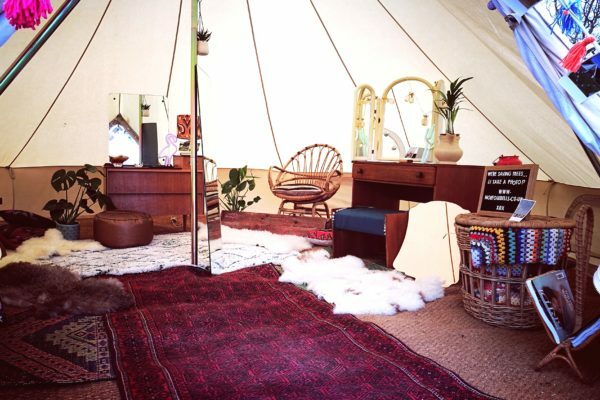 Our ever popular Chillout tent is a spacious 5m/Emperor Bell Tent decked out with relaxed and chilled touches. 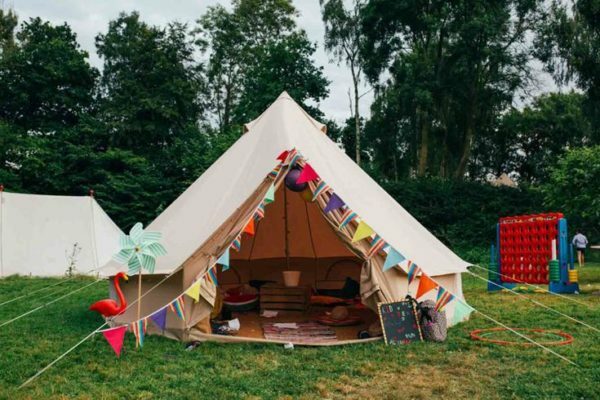 Ideal for Birthday parties or a place to escape at weddings and shindigs. Our expansive twin peaked 6m x 4m Emperor Bell, decked out in Indian opulence. This is the perfect place for grown ups to unwind, relax and enjoy the comfort of this superior jewel in our crown. New for 2018! A gorgeous feminine space with a touch of vintage flair. A preening parlour to powder noses, gossip or perfect your wedding look.